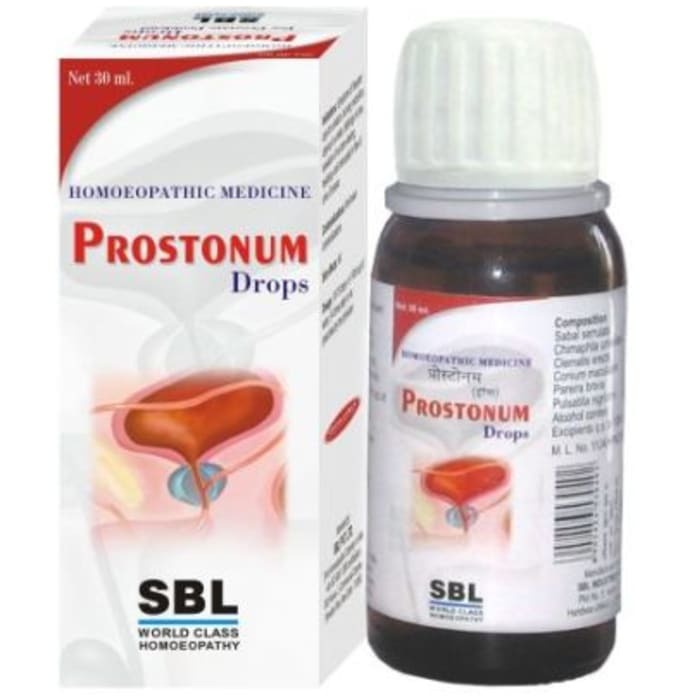 SBL Prostonum drop helps in enlarged prostate or Benign Hypertrophy of Prostate (BHP) leads to urinary disturbances like Weak urine stream, Difficulty in starting urination, Dribbling at the end of urination, Frequent or urgent need to urinate, Increased frequency of urination at night, Straining while urinating, Not being able to completely empty the urinary bladder. 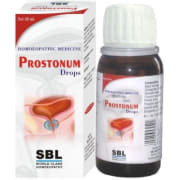 SBL Prostonum drop helps overcome problems of Benign Hypertrophy of Prostate (BHP). Composition: Sabal serrulata 2x, Chimaphila 3x, Clematis erecta 3x, Conium maculatum 3x, Pareira brava 3x, Pulsatilla nigricans 3x. Recommended Dosage: 10- 15 drops in the 1/4th cup of water, 3- 4 times a day or as prescribed by the physician. 4. During pregnancy and while on breastfeeding, consult the homeopathic physician before use. A licensed pharmacy from your nearest location will deliver SBL Prostonum Drop. Once the pharmacy accepts your order, the details of the pharmacy will be shared with you. Acceptance of your order is based on the validity of your prescription and the availability of this medicine.